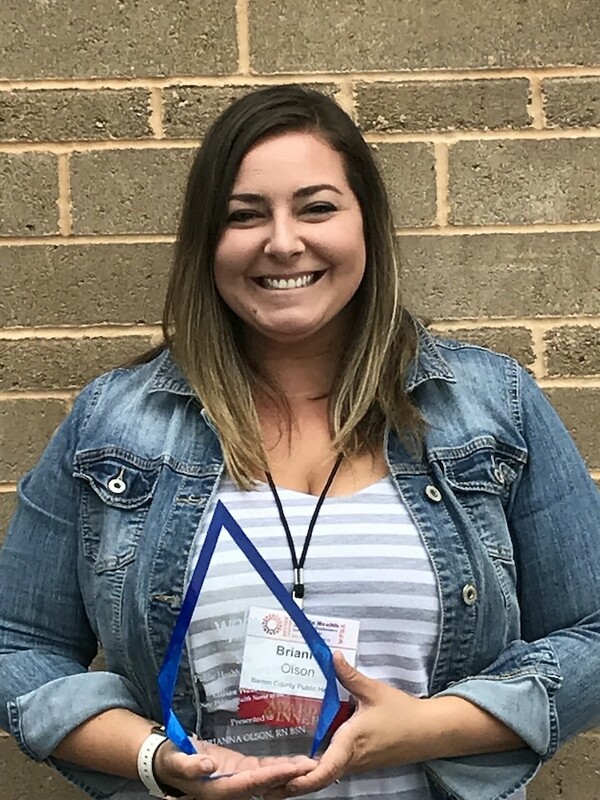 Brianna Olson of Chetek received the 2018 Lillian Wald New Public Health Nurse of the Year Award at the Wisconsin Public Health Association annual conference on Aug 1. Olson is a public health nurse at Barron County Dept. of Health and Human Services. “It's an honor to be nominated let alone chosen for this award. I found my passion in public health. I love working for and with our Barron County Community,” states Olson on the award. Lillian Wald is known as the pioneer of public health nursing. Wald made it her mission to improve the health of communities by getting nurses in homes and schools, and promoting social reform. This award is given to a new public health nurse who demonstrates the qualities and dedication necessary for a career in public health nursing. The recipient must show dedication to the practice of public health nursing during the first three years in the role. The recipient must demonstrate values and skills consistent with the American Nurses Association Public Health Nursing Scope and Standards of Practice. Contact Public Health to learn more about services offered in Barron County. You can reach Public Health at 715-537-5691, ext. 6442, like “Barron County Public Health” on Facebook, or go to the Public Health page on the Barron County Website found at www.barroncountywi.gov.